A time before I give a touch of noses a friend with a theme that surely thought it was a lie and no, it is true, considering time as discrete rather than continuous. And there is a theory in which we talk about a thing called the Planck time or discrete time. So normally we think of time as a continuum, something that happens without stopping, “from beginning to end”, but thanks to Planck was incorporated a very curious idea is that time and be discreet. That means that the time is discrete?. It means that instead of being continuous, time will jump. To understand it, it is as if reality were to frames, ie, the time frame being passed, every second, a finite number of frames (frames per second, for those who understand something of this). 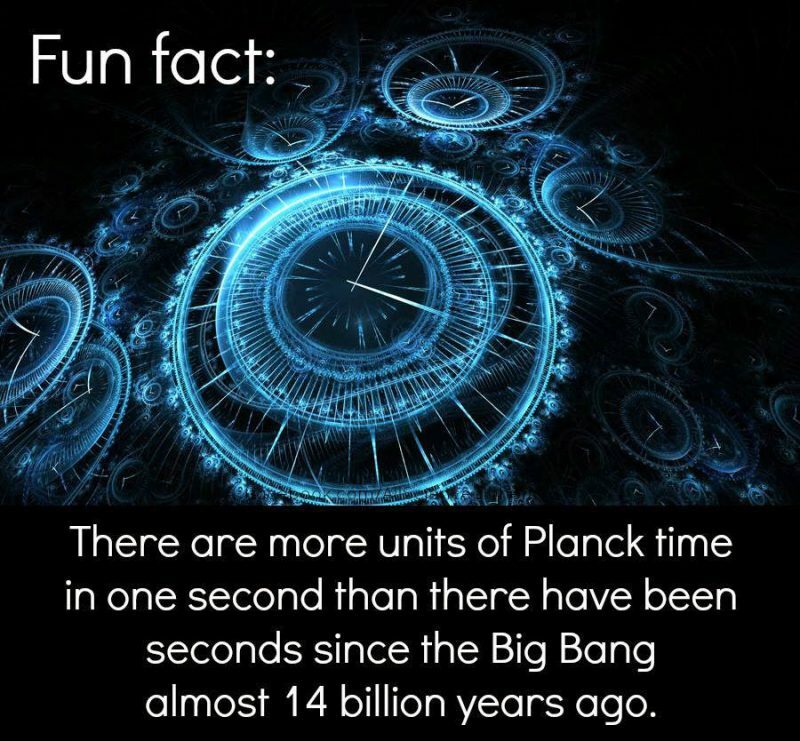 And what is the minimum unit of “time”?, as the Planck unit, you see, goes for almost everything. It is said that the minimum unit discrete time is the time it takes a photon to travel the distance of Planck, something like 5.39×10^-44 seconds. In the background is a “time” so small that a second is made up of a lot of them and for us observers see it as a continuous not the case. The for better or for this thought, is not plan to give you now badgering, but it has to do with being able to skip the special peculiarities that we are in some cases so that, if something is located in time and not in space (sound familiar, right?, event horizon or singularity of a black hole) can stop being a singularity as it is discrete, rather than continuous and therefore, mathematically calculable. This, someday if I have wanted you explain it because you have to talk about axes of symmetry, Penrose diagrams and finite topology with some spaces. The problem is that many have fallen by the foolishness of associating frames that life is like a movie and have convoluted the concept so that deformed its definition and, above all, their use. A pity.